I Eat Rio is a guide developed for tourists in Rio de Janeiro. The guide offers a culinary immersion by the city in which we indicate on the map restaurants offering typical foods of Brazil and the city. 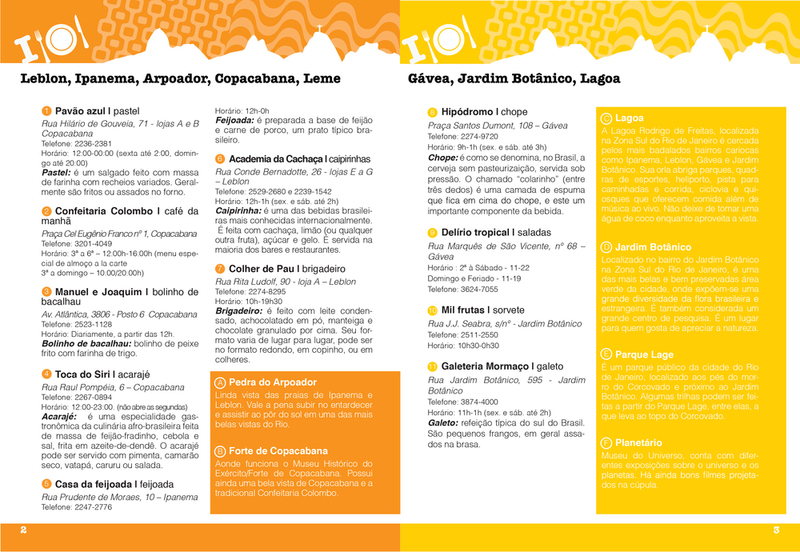 Following the suggestions of the guide, visitors will have at the end of their trip a complete gastronomic experience. Team: Eduardo Franco, Marcela Setton, Gabriel Asis and me, Vicky Yadid.